Maddie Fowler, originally from Ames, Iowa, is currently completing her BFA in ceramics at Ohio University in Athens, Ohio. 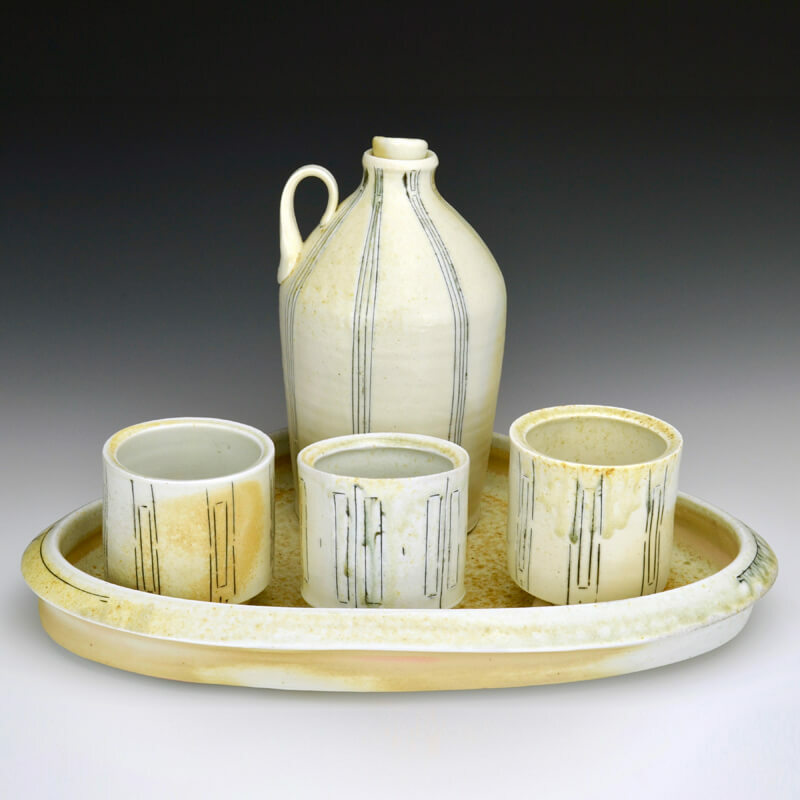 As a potter, Maddie’s work centers around food practices and creating vessels for specific meals. Maddie has completed residencies at the International Ceramics Studio in Kecskemet, Hungary in 2015 and 2017 as well as The Ceramics Center in Cedar Rapids, Iowa in 2016. In the Summer of 2018, Maddie will be part of the Advanced Student Project Network at Red Lodge Clay Center in Red Lodge, Montana. My ideas surrounding utilitarian pottery stem from the correlation between function and design. I seek to create a balance between utilitarian requirements of functional ceramics and the aesthetic of atmospheric fired porcelain. As a potter, I am drawn to the personal connections and interactions we have with the pots in our home. Specifically, I am interested in the connections as well as the dialogue that is prompted during the sharing of a meal. I want my pottery to prompt discussion within these gatherings while also providing a considered vessel for food. My work is made of multiple components, all involved with one another to join as one composite set. I am interested in the details of the individual pieces and how they interact to make each set function to their best ability. It is highly important to me as the maker, for my work to be used on a daily basis, whether it be a meal for yourself or a larger family gathering. Creating sets that can be used on the kitchen table as well as in the kitchen while you are preparing meals is what initiates my work.